A recent performance by Kevin McNeilly is now available in cIRcle, UBC’s Digital Repository. The webcast was sponsored by Irving K. Barber Learning Centre (IKBLC) and hosted by the Robson Reading Series at IKBLC. Kevin McNeilly is an associate professor in the Department of English at UBC. He has written and published scholarship and critical essays on a variety of literature, media and music, including work by writers, thinkers and performers such as Charles Mingus, Elizabeth Bishop, Jan Zwicky, Miles Davis, and Robert Creeley. He is a member of the “Improvisation, Community and Social Practice” research initiative. 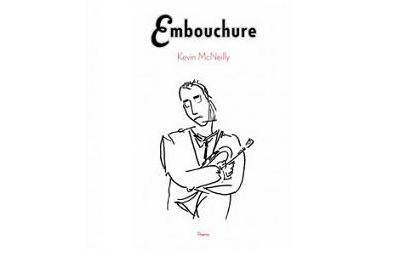 Embouchure (Nightwood Editions, 2011) is his debut poetry collection. Watch this performance in cIRcle at: http://hdl.handle.net/2429/40413. There are over 100 items in the IKBLC Multimedia collection in cIRcle. Currently, the top item in this collection is a podcast on ‘melatonin therapy for difficult sleep disorders of children with neurodevelopmental disabilities’ by Dr. James Jan. Listen to it via cIRcle at: http://hdl.handle.net/2429/301. Above partial excerpt in italics and image is courtesy of the Irving K. Barber Learning Centre website at The University of British Columbia.